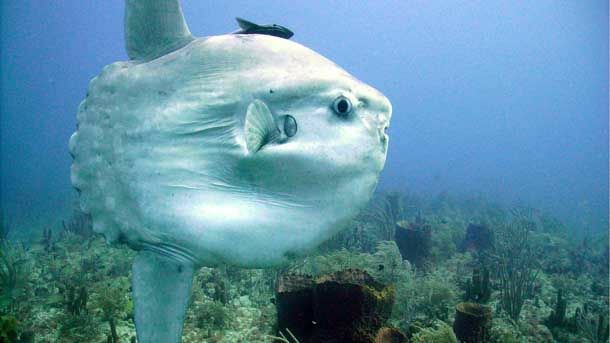 Photo of an ocean sunfish. Mola mola, the fishy so nice they named it twice. This Mola mola, also called an ocean sunfish, is swimming in the sunny waters off Pompano Beach, Florida.